Explore the historic Eastern Canada and find the beautifully intertwining cultural roots of English and French. Assemble at the International Airport to start your pleasant flight to Toronto. Upon arrival, meet and greet with local guide, transfer to hotel for check in and rest. After breakfast in the hotel, depart for Ottawa, Canada’s capital city, stopping in Kingston on the way. Kingston is known as the “Limestone City”, for its grand 19th-century buildings, including the lakeside Kingston City Hall. Discover and experience the Heart of the 1000 Islands on a Thousand Island Cruise, exploring the magnificent scenery of the 1000 Islands. After your exploration adventure, continue to Ottawa where you will visit Rideau Canal, Parliament Hill, and Rideau Hall, the official residence and workplace of every Governor-General since 1867. Today, travel to Montréal for your city tour. 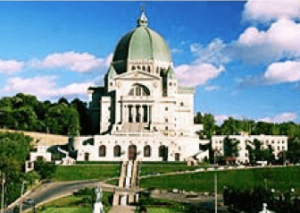 You will visit St. Joseph’s Oratory, a must-see destination in Montréal located in the tree-lined borough of historic Mount Royal, with the basilica’s dome as the highest point in Montréal. Then, visit Old Montréal, the oldest area in Montréal, with some of its buildings dating back to the 17th century. You will also stop by Notre-Dame Basilica of Montréal in Old Montréal, a beautiful basilica with architecture among the most dramatic in the world; with a grand and colourful interior, a deep blue, gold-star-decorated ceiling, it is a sight that can’t be beat. Lastly, visit Parc Olympique, the Olympic Park which as home to the 1976 Summer Olympics. Be sure to take a picture of the 45-degree angled Montréal Tower, which is the tallest inclined tower in the world. Finish the day off with a dinner featuring Montréal Smoked Meat to complete your visit to the 2nd largest city in Canada! 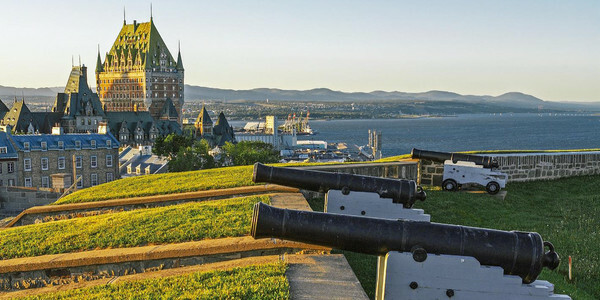 Prepare yourself for a true French-Canadian experience by visiting Québec City. 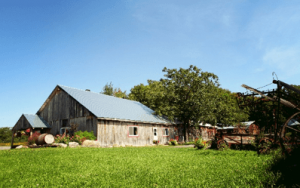 You will arrive around noon, just in time for a traditional Québécois Sugar Shack Lunch. After dancing and singing with your Sugar Shack hosts, depart for the remainder of your Québec city tour. Visit La Citadelle de Québec, a national historic site located at the top of Old Québec. Its walls enclose 300 years of history from the time of New France until today. Its star-shaped form is not one you can miss! Next, visit Fairmont Le Château Frontenac – a beautiful castle-style hotel, famous as a backdrop in many photos of Old Québec. Lastly, take a shopping stroll through the neighbourhood of Petit Champlain: the oldest commercial district in North America. Today, we will travel up the mountain nearby to the destination of Mont-Tremblant. En route to Mont-Tremblant, you will see the most beautiful fall-foliage in all of Canada. See the breathtaking yellows, reds, and oranges of the leaves changing in preparation for wintertime. Upon arrival to Mont-Tremblant, take a ride on the Panoramic Gondola, offering views of the resort and beyond. Enjoy the Pedestrian Village free at leisure for the rest of your day, taking in a variety of restaurants of your choosing for lunch and dinner. Travel en route to Huntsville via Algonquin Provincial Park. Algonquin Provincial Park is Ontario’s first provincial park. It is 7630km2, even larger than Canada’s smallest province: Prince Edward Island! The fall foliage will also be an amazing sight here in Algonquin Provincial Park. 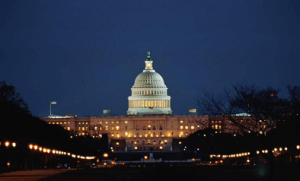 After your visit in nature, enjoy an overnight stay in Huntsville. This morning, you will make your way to Muskoka, enjoying a visit to Lake Muskoka, where there is sparkling, clean lakes and around 14,000km of spectacular shorelines. Continue on and you’ll have returned to Toronto. Here, take some time in the city and visit Casa Loma, a beautiful backdrop for special occasions. It was built from 1911-1914, now serving as a castle-style house, museum and landmark. Stop by the University of Toronto, a well-established research university. Lastly, visit Old/New City Hall to take in some history of Toronto. After enjoying a wonderful hotel breakfast, make your way to the thunderous Niagara Falls! Here, you will feel and hear the roaring, rushing water from the Canadian and US Falls. Learn more about Niagara’s history by taking some time to watch Niagara IMAX showing. Fly over Niagara River on the Whirlpool Aero Car. The possibilities with the Falls are endless! 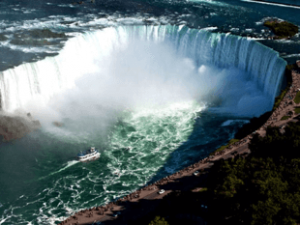 Start your day with an amazing journey up close to the Falls on the Niagara Hornblower. You will get up close and personal with the Falls, so make sure to wear your rain poncho, hide under the cover of the vessel, or be prepared to get WET! Next, visit Niagara-on-the-Lake, a quieter town in the area, famously known for the abundance of wineries in the area. Have a tasting in a local winery and relax after an adventurous morning. In the afternoon, depart for the Outlet Collection at Niagara. 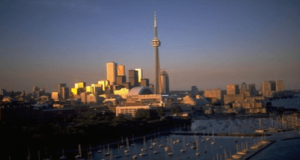 To finish your trip in Eastern Canada, return to Toronto in time for a beautiful dinner at the CN Tower, featuring either casual fare with breathtaking views of Toronto at Horizons Restaurant, or the revolving restaurant at 360 Restaurant. Transfer to Toronto Pearson International Airport after dinner for your flight back to your sweet home. Depart Toronto back home. Return home on Day 11 with lasting memories of your amazing trip to Eastern Canada!